Black / White Photocopiers for sale at the best price in Melbourne. 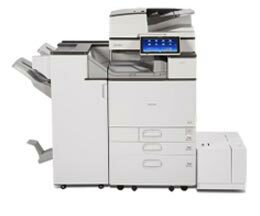 Our black & white multifunction copiers are fast and reliable. They are the best in the industry. We can expand the capabilities of these photocopiers within your office by creating a powerful network printing and scanning system. We can supply twin laser digital quality that gives you outstanding quality and reliability. The proof is in the copy. Our black & white multifunction photocopiers are the ideal choice for a fast paced, small office and departmental work groups. 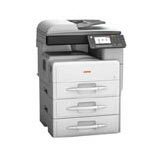 New / used Lanier, Ricoh, Kyocera, Sharp, Canon, Fuji Xerox black & white photocopier sales at the best prices in Melbourne. If you would like more information regarding our large range of both new and used black and white photocopiers for sale or copier repair services, then simply contact us direct on (03) 9793 7773 or via our enquiry form. Our staff look forward to assisting you with all your home and office printer, photocopier and fax requirements.